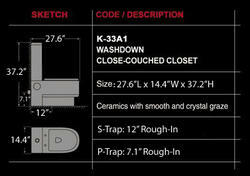 Abruzzi is a contemporary modern bathroom toilet that embraces the latest trend in luxury modern bathroom design. 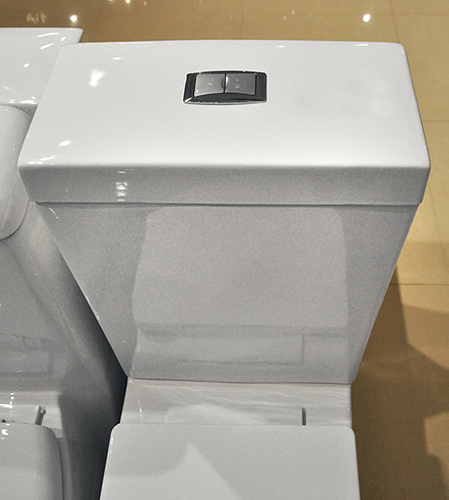 The ultra-modern two piece toilet features a sophisticated water-saving dual flush system and S-Trap design. 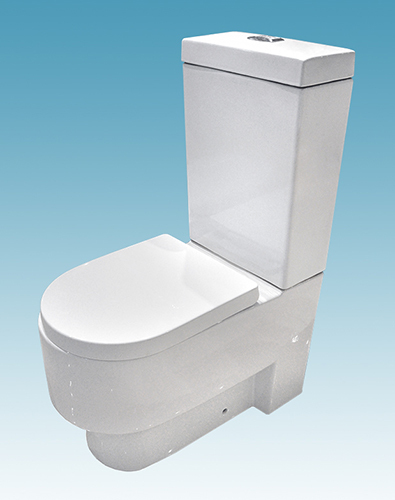 The Italian style modern toilet features a soft rectangular high-rise back. The smooth U-shaped bowl portion of this modern toilet ingeniously joins with its companion the high-rise tank to promote a contemporary bathroom toilet unlike no other. This arched two piece bathroom toilet design blends delicacy with contemporary functionality adding charm and comfort to any modern bathroom decor.